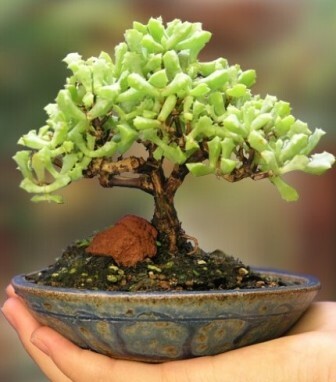 The most beautiful miniatures of plants happen to be Bonsai which gets their origin from China and adopted as an art by Japan, and spread all over the world as most sought after plants. Bonsai’s are considered to be great stress relievers and bring peace to the surroundings. Bonsai have the properties to purify air at home or office. Bonsai’s are easy to maintain and accommodate themselves at any corner of your premises, occupying very little space. With their illusionary and tempting looks they are a must buy for home or office. Bonsai requires dedication because these plants are so needy and anyone who undertakes their care must devote time and effort. This ancient practice will help a person to completely forget about their hectic lives because it offers serenity in its place.